In this short video I want to talk about my experience over the last couple of months since I switched my WordPress website host to WPengine. Why I paid more and how my site speed has improved dramatically. Accordingly my business has grown as well. 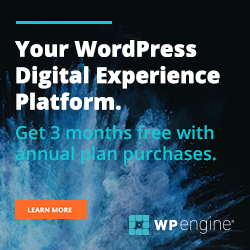 I’ll create another video and review WPengine in depth, for now you can visit them here.